The Worthing area continues to struggle with industrial space at record scarcity levels as key potential sites continue to lie dormant. A handful of local companies have been able to let the logistic units they desperately need, for example the 11,650 sq ft at Unit K, Downlands Business Park – now occupied by ball bearing specialist Spheric Trafalgar Ltd (pictured left). The greater Worthing region has the lowest vacancy rate for industrial stock in the south east at 2.4%, whilst key potential sites such as Teville Gate and the former Shoreham cement factory currently lie dormant. The South Downs National Park Authority recently claimed a proposed new IKEA development in Lancing would cause “significant harm” to the area’s views – even though the proposed site itself is not greenbelt land. Most industrial landlord sare doing very well from the situation, with the likes of the Riverside Industrial Estate, Littlehampton (pictured, right) soon to be fully let – following a series of successful lets in the last year creating a thriving trading community. 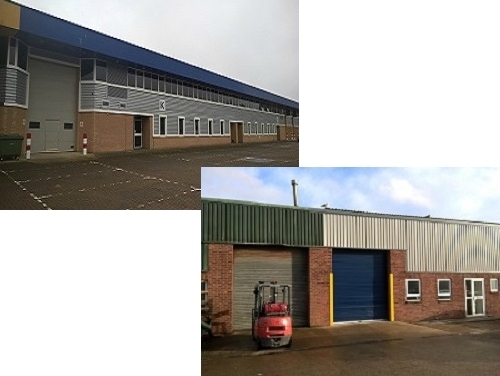 A dearth of local instructions has meant increased activity further afield, such as the letting of 3,200 sq ft goods yard in Holdenhurst Road, Bournemouth and a similar sized industrial unit in Petersfield.